Earnings for the largest U.S. health insurer jumped almost 30 percent to $3.19 billion, or $3.24. Earnings, adjusted for one-time gains and costs, came to $3.41 per share, which is 11 cents better than Wall Street was projecting, according to a survey by Zacks Investment Research. UnitedHealth, a component of the Dow Jones industrial average, is the first health insurer to release results every quarter. Many analysts and investors see it as a bellwether for the sector. The company's revenue totaled $56.56 billion in the quarter, also topping expectations. UnitedHealth said that the revenue growth was driven by serving more people, improved membership growth in higher acuity programs, pricing to cover expected medical cost trends and the resumption of the health insurance tax for the year. The company said its employer and individual insurance served 65,000 more people through risk-based offerings in the quarter and 130,000 more people from a year ago. Its Medicare Advantage business served 525,000 more people year over year and 125,000 more people in the third quarter, including 65,000 from the combination with Peoples Health in the quarter. UnitedHealth is the nation's largest provider of Medicare Advantage plans, which are privately run versions of the government's Medicare program for the elderly and disabled people. Health insurance is the biggest revenue generator for UnitedHealth. But it also has been pouring resources into Optum, which generates a larger operating margin. The Optum segment provides pharmacy benefits management and technology services. It also runs a growing number of clinics and urgent care and surgery centers. Optum revenue climbed 11 percent in the quarter, led by strength in OptumHealth. 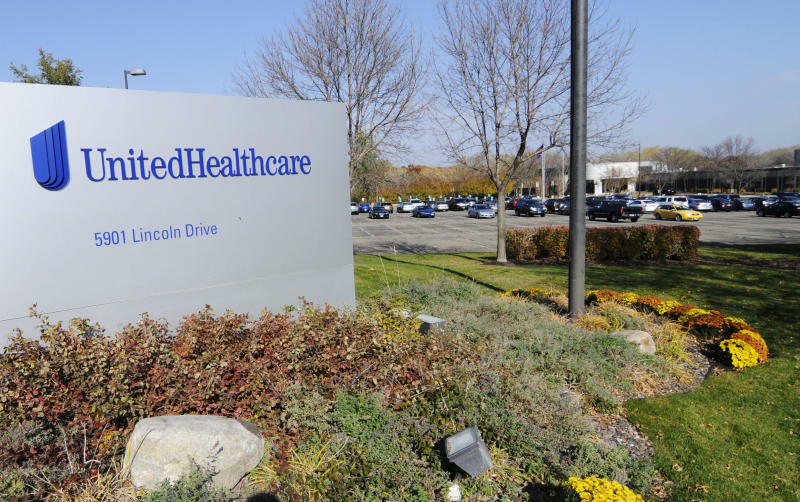 UnitedHealth Group Inc., based in Minnetonka, Minnesota, said Tuesday that it now expects adjusted earnings per share near $12.80. In July, UnitedHealth hiked its 2018 outlook for the third time this year and said it expected adjusted earnings to range between $12.50 and $12.75 per share. Analysts polled by FactSet predict earnings of $12.70 per share. Shares rose slightly before the market open.